The film documents the challenge posed by Acute Oak Decline (AOD) to British oak trees. Entitled ‘Saving our Oak’, the film can be viewed by clicking here. The film gives thanks to past supporters showing snapshots of the research that their donations have made possible, but also highlights that despite great progress made, so much more needs to be learned, for which another urgent appeal is underway. 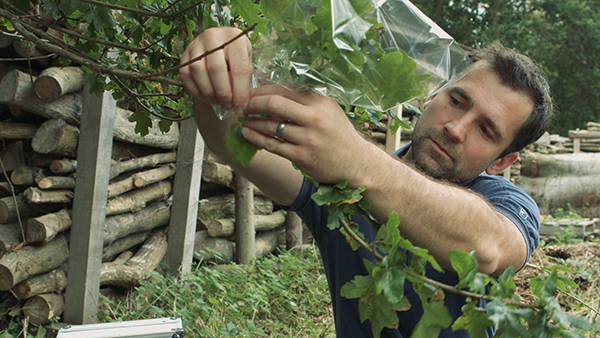 “This film highlights some of the crucial research that is ongoing to counter Acute Oak Decline. Acute Oak Decline (AOD) is a condition affecting several thousand oak trees, mostly across East Anglia, the Midlands and Southern England as far west as Somerset. It affects both of Britain's native oak species: pedunculate or 'English' oak (Quercus robur) and sessile oak (Quercus petraea) as well as other species of oak. AOD is characterised visually by dark fluid oozing from cracks in the bark, rapid decline of the tree, and the eventual death of affected trees. Death can occur within four or five years of symptoms first becoming visible. Many affected trees also have characteristically D-shaped exit holes of the buprestid, or oak jewel beetle, in the bark. Woodland Heritage’s Chairman of Trustees, Lewis Scott said: “As with so much linking Woodland Heritage with the challenge of Acute Oak Decline, and developing management strategies to protect our oak, this film was the brainchild of the charity’s past Chairman and fellow Co-Founder of Woodland Heritage, Peter Goodwin. From the moment that Peter became aware of the threat that AOD posed to his beloved oak tree, now a decade or so ago, Peter headed a relentless campaign to highlight the risks and raise funds to help support research into understanding the causes and managing the problem. He was always the first to promote what could and should be done to reduce the threats; he was always focused on acting and not talking, with the results showing themselves so clearly in this inspirational film”. The story told in ‘Saving our Oak’ is one of partnerships and collaboration towards a shared objective. Peter used his energy and vision to highlight the plight of the oak and to persuade donors to help this wonderful, iconic tree have a more secure future. But he left the science to Forest Research to co-ordinate, carry out and direct, always working with Dr Sandra Denman, who had shared Peter’s concerns about AOD from the outset. “Combining the expertise and resources at Forest Research with new ones that we were able to harness at universities and research organisationsthanks to the money that Peter secured, this has been such an inspirational example of a private-public partnership working to great effect”, said Dr Sandra Denman. “The special opportunity that the charitable funding afforded us was to be nimble in response to research needs, able to widen our collective knowledge and better understand, and so manage this disease, in the future”. Many of the scientists involved in the research are doctoral or post-doctoral researchers and their studies are showcased in the film using a holistic multi-disciplinary approach tackling topics as diverse as predisposition, soils, biogeochemistry, tree genetics and metabolomics, dendrochronology and chemical ecology, which are the factors that are increasingly recognised as contributing to the spread of AOD. “It takes time and resource to carry out research that leads to greater scientific understanding and practical solutions, but the investment that Woodland Heritage and associated charities have made in this are starting to yield important results that are vital stepping stones to the solutions. Our future research programme lays out a path that we believe will help AOD to be further understood and better managed”, added Dr Denman. Woodland Heritage was established as a charity in 1994 by two directors of cabinet making businesses keen to ‘put something back’. 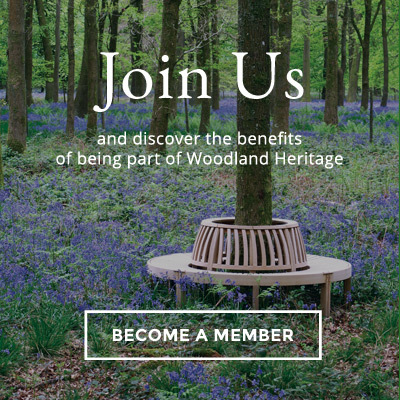 A membership-based organisation, the charity supports the resilient management of woodlands, the development of the timber supply chain, the furthering of knowledge and skills within the forestry and timber sectors as well as within the general public, and the tackling of threats to the future supply of high quality UK timber. As well as running the popular ‘From Woodland to Workshop’ courses and a Field Weekend each year, Woodland Heritage produces an annual Journal. 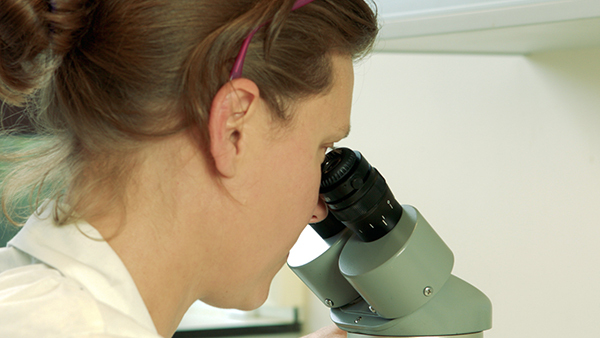 A current priority for the charity is supporting research into Acute Oak Decline.